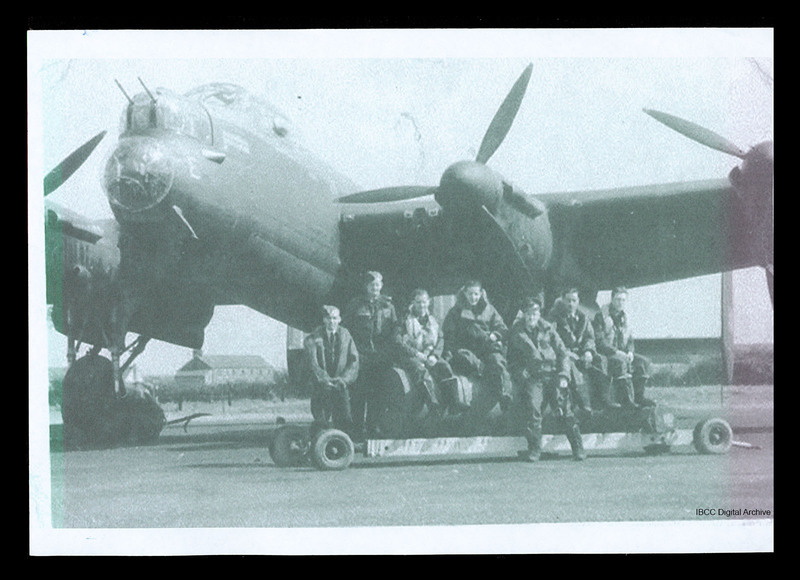 Seven aircrew, six seated on bomb trolley, with pilot standing, in front of Lancaster, E, parked on dispersal. All aircrew wearing flight suits. Some are wearing Mae Wests. 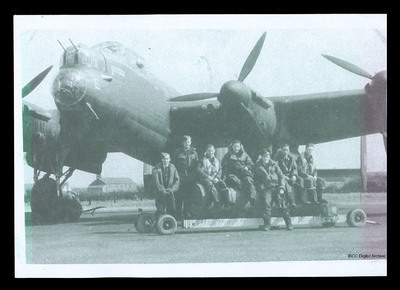 “Aircrew with bomb trolley in front of Lancaster,” IBCC Digital Archive, accessed April 25, 2019, https://ibccdigitalarchive.lincoln.ac.uk/omeka/collections/document/14897.